Max Colegrove was a valued resident of Mansfield for many years. A native of the Olean, NY area and a veteran of WWII, he came to Mansfield after the war and married the former Annabelle Loveland. As founder and owner of the Pennysaver, he had a host of friends throughout the area. Max was active in the United Methodist Church and numerous other organizations. He was a charter member of the Mansfield Kiwanis Club, an active member of the Chamber of Commerce, a past Commander of the Austin Cox Post of the American Legion, and of the Masonic Lodge. For many years he served as president of the Mansfield Borough Council. His children, James, John, Richard, and Mary Jane Taylor, have followed his example of active community participation in their respective communities. Recently we announced that the winner of this years 32nd Annual Max Colegrove Citizen of the Year award is Sylvia Crossen. There were some amazing candidates and it was a tough decision with so many wonderful people in our community who do so much! Sylvia's involvement in the Lions Club, St. James Episcopal Church, Supporting Community Initiatives such as the Issac's, her dedication to the Chamber and so much more all contributed to why she was chosen as this year's award recipient. We'd love to have you join us to celebrate Sylvia and hear even more about what she's done for our community over the years. 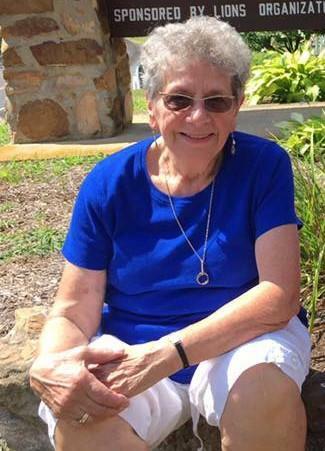 Please consider joining us on June 12th at St. James Episcopal Church to celebrate Sylvia. Tickets are 25.00 and are available at the Chamber Office, First Citizens Community Bank and North West. Congratulations Sylvia our Community is very blessed to have you as such a valuable part of it!